When it’s time to make a decision for your flooring material during your remodeling project, you’ll have so many options to choose from that it can get a little overwhelming. Especially in today’s market where new technologies are integrated into our products all the time. Made of differing materials that make them composites, the laminate and high quality vinyl (better known as luxury vinyl tile or LVT) are manufactured in layers. This composite, or combination of materials, is what makes the flooring extremely durable and long lasting, able to stand up to years of abuse when properly maintained. What makes the composite so tough is that the cores are made of strong materials. High-density fiberboard is used during the manufacturing of laminate and with LVT, the core consists of PVC vinyl. This strong center is what gives these flooring types the rigidity and strength to last. Kept properly sealed, you could literally have them around for decades. Not only are the vinyl and laminate flooring materials more durable than in the past, but they handle stains better and are now resistant to flame. Laminate flooring is highly stain resistant. Laminate flooring is primarily made of wood which makes it feel like wood, but the LVT or high quality vinyl feels like plastic. LVT, or luxury vinyl tiles, come in many decorative styles, textures, and colors with many that mimic other materials like hardwoods and natural stone. The process during manufacturing involves 3D printing technology which adds depth and realistic features. There is also a high performance wear layer with the vinyl tile product. Floating LVT floors are growing in popularity both in the residential and commercial markets for remodeling. Rated for medium to heavy commercial use, the homeowner should be sure of the tile style they choose because it’s going to be around for a VERY long time. Luxury Plank Flooring comes in the wide plank lengths and widths and mimics the look of natural hardwood flooring or stone. Since the laminate flooring feels much like wood, it can be difficult to tell the difference between the natural product and the composite. While the luxury vinyl will feel more like stone under the foot because it’s made of PVC and can be grouted. When you’re more interested in hard, tough flooring options that are eco-friendly and a la natural, go with cork or bamboo. Both of these flooring options are hitting the mark as rising star flooring choices for residential and commercial property remodeling. Remodeling with either of these options gives you beautiful, natural and durable flooring that you would love in your home. Bamboo is actually a grass and not a tree. It’s fast growing and easily renewable, extremely tough, and absolutely gorgeous. It comes in light tones or darker tones and stands up to the test of time. Fast becoming popular for homeowners who are remodeling, it’s been used in the commercial industry as a favorite for some time now. 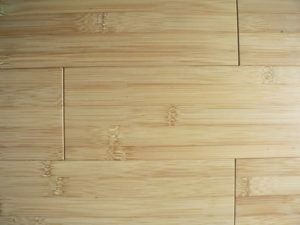 There are different hardness options to choose from in bamboo flooring. The hardest of the bamboo options is harder than oak, with the carbonized bamboo the softest. Either is strong and durable and long lasting. Cork flooring is equally beautiful and durable and makes a wonderful choice for remodeling. It’s available in many shades and color options. You can apply stain, paint, or leave it natural. Cork comes in either plank or tile, which makes shape limited and makes a difference in how they can be installed. There are cork composites. Mosaic cork tiles are manufactured with recycled wine corks. Solid cork flooring are constructed with ground cork mix (great for moist areas like the bathroom). And Engineered cork is compressed cork that is bonded to fiberboard used for floating floors. When it comes to picking out the right flooring, you’ll want to consider things like whether the room the flooring will serve will be exposed to moisture or not. Some materials weren’t designed to do well in the bathroom, kitchen, or laundry areas where flooding can occur. As a responsible homeowner, you’ll want to take all considerations into account when choosing your new flooring material for your remodeling project. 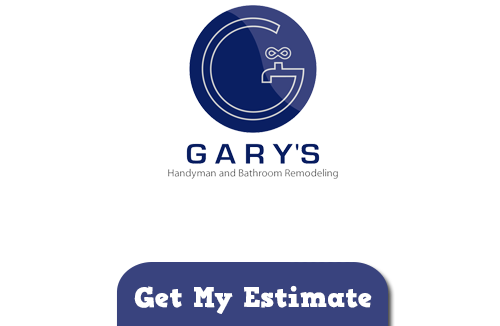 If you are looking for expert handyman and remodeler in Chicago then please call 847-800-4279 or complete our online request form.